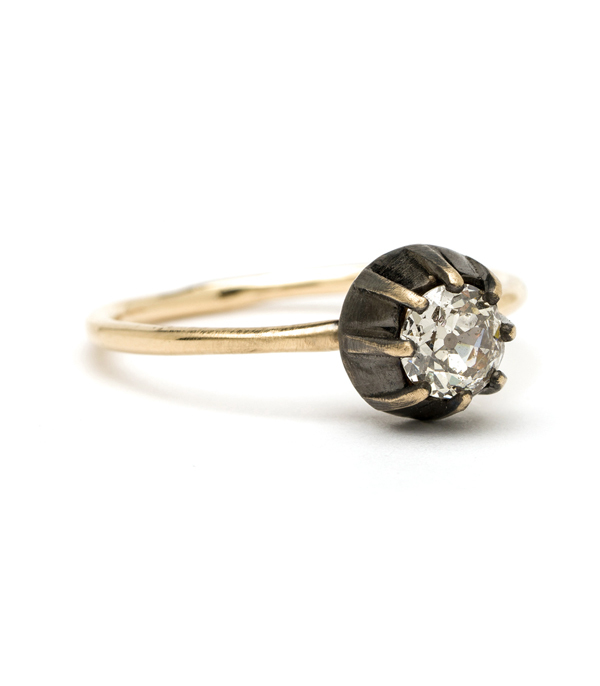 Rocking the old with the new. 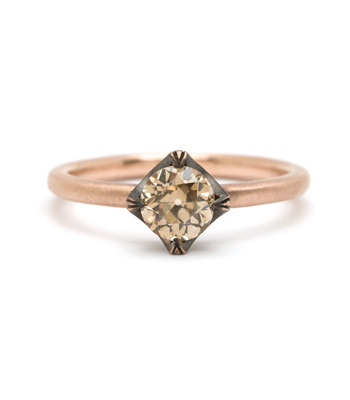 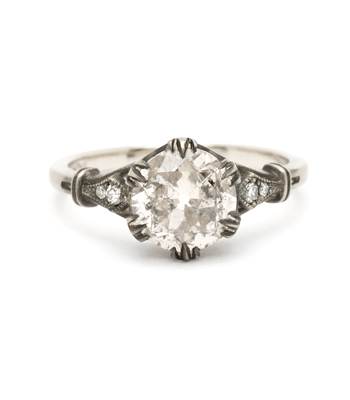 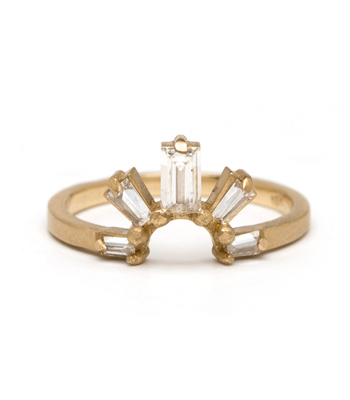 We are head over heels for this latest vintage inspired solitaire! 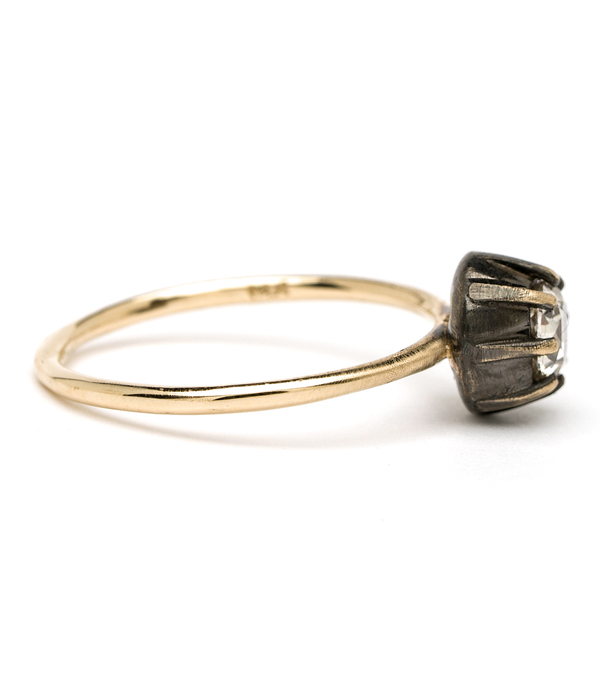 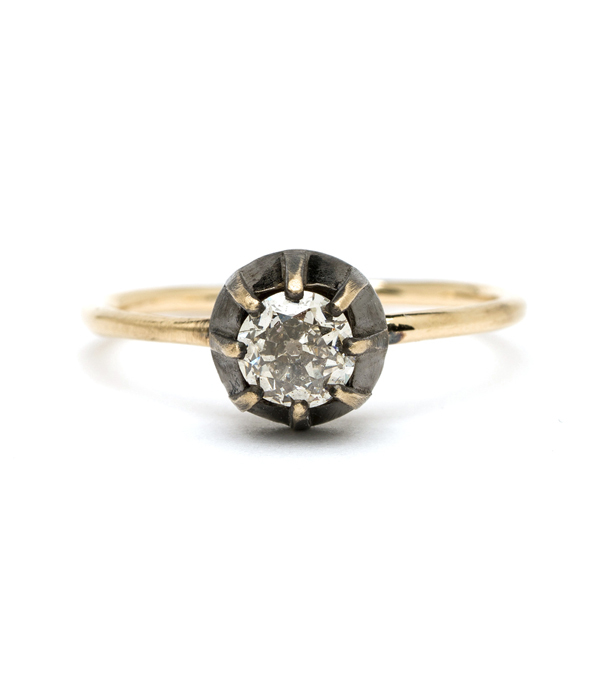 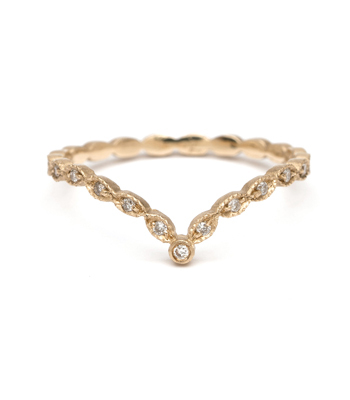 This unique 14K yellow gold engagement ring (or stacking ring) features a one-of-a-kind old European cut diamond (approximately 0.50ct) in a blackened, chunky collet bezel and prong setting, atop a smooth and delicate round band. 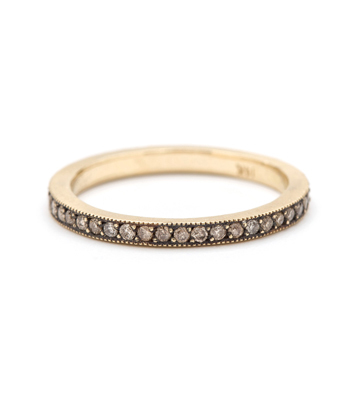 This band is equally fit for an edgy, vintage loving bride or ring stacking maven, and always adds a sparkling punch to any jewelry wardrobe. 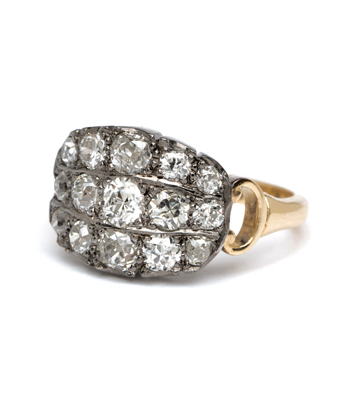 Categories: All Engagement Rings, Antique Diamonds, Champagne Diamond Rings, One of a Kind Bridal, Vintage Romantic.